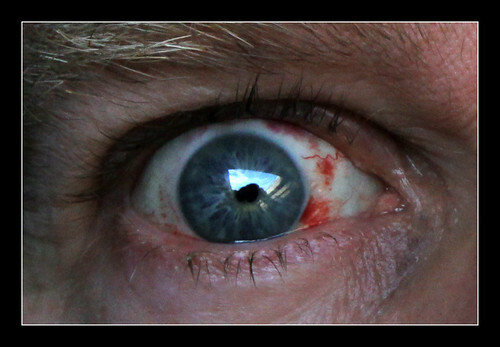 24hrs after laser eye surgery this is my left eye. Recovery seems to be quite rapid, although I am struggling with the keyboard here tonight, and one eye seems to be focusing better than the other? But apparently this is normal at this stage? I won't be posting much more here until things improve a bit. But my vision is definitely better overall except this close stuff at present.